It is important to develop leisure skills with your child as early as possible so your little one can occupy themselves as they grow. Playing with your child is a great way to do this. Your young child might be naturally inquisitive and that’s great, but some children need more structured play activities to help them understand the social and communication components of play. 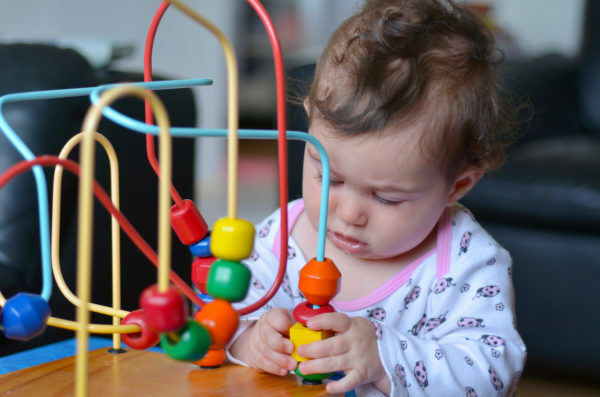 Your young child with an Intellectual Disability(ID) may have fine motor difficulties so exploring play though sensory activities will help develop these skills. Gross motor may also be an area of challenge for your child so it will also be important to engage your child and teach them how to develop these skills. Play also develops language opportunities and will help your child to develop much needed personal skills to help them towards being independent. If your child has a severe ID it is still important to undertake these activities so that you can make your child aware of their surroundings and the people around them. If your child has an Autism Spectrum Disorder(ASD) or Attention Deficit Hyperactivity Disorder(ADHD) you may need to put into place more structured activities. The important thing is to have fun with your child! When your child is beginning to understand play, begin to move away and allow times of free play so they begin to understand that they can play alone sometimes. When you feel ready begin to explore other environments such as playgrounds and parks, observe your child and see how they begin to interact with those environments and see what further structures you may have to put in place for success.